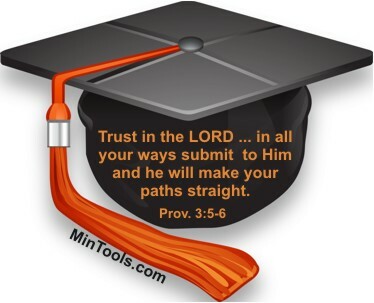 Graduation time provides opportunity to remind graduates to keep trusting God as they navigate life now and in the future. Many young people will soon be graduating from high school or college. The church can give them a nice certificate to recognize this accomplishment or some other keepsake gift. We can wish them well in their adult lives. But, can we keep them in the church? In fact, the most potent data regarding disengagement is that a majority of twentysomethings – 61% of today’s young adults – had been churched at one point during their teen years but they are now spiritually disengaged (i.e., not actively attending church, reading the Bible, or praying). Only one-fifth of twentysomethings (20%) have maintained a level of spiritual activity consistent with their high school experiences. Another one-fifth of teens (19%) were never significantly reached by a Christian community of faith during their teens and have remained disconnected from the Christian faith. I think the question we must ask is why they aren’t staying. Is it a matter of intellectual disengagement? Have we not done a good job apologetically with them? Is it a heart issue? Do they want to be in control of their own lives more than they want God? Are we praying for them as we should?